Watch a YouTube Video about why the Energy Step Code Council was nominated for the Award. The Land Awards were created by the Real Estate Foundation of BC to highlight and celebrate excellence in sustainable land use. The awards program recognizes outstanding projects and standout leaders who work to build healthy, resilient communities and natural environments. There are also two awards for individuals: the Land Champion Award and the Emerging Leader Award. In 2018, the Energy Step Code Council was the winner in the Built Environment Category. The Built Environment Category includes all of the physical buildings and infrastructure of a community as well as the planning, development, and real estate practices that integrate them. This award category includes community planning, as well as housing, transportation, buildings, and infrastructure. 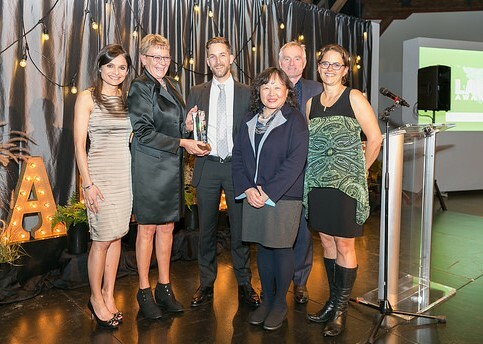 Receiving the 2018 Land Award (left to right): Renu Bakshi, Awards host; Lita Powell, REFBC Governor; and Zachary May, Wilma Leung, Bob Deeks and Robyn Wark of the Energy Step Code Council. 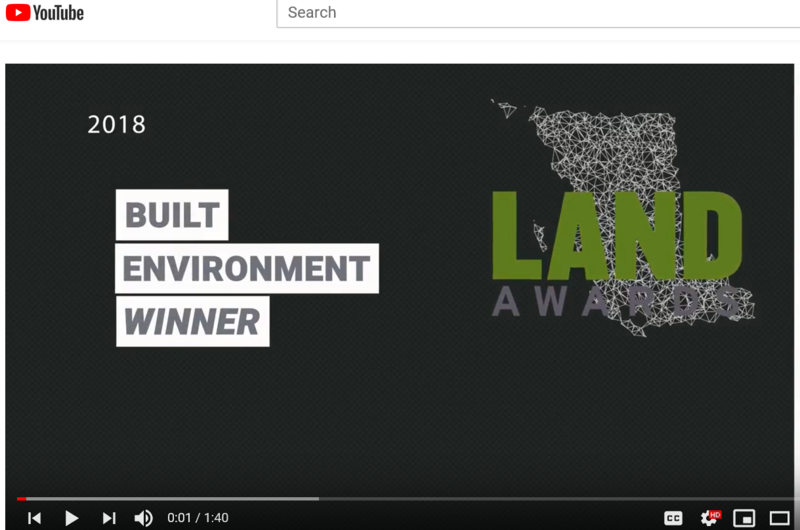 Access videos of all of the 2018 Land Awards nominees. The Energy Step Code Council received a special 2017 Climate & Energy Action Award in recognition of the multi-sector collaboration required to develop the BC Energy Step Code. The Climate & Energy Action Awards recognize the efforts of small and large communities across British Columbia in reducing community and corporate energy use and decreasing greenhouse gas emissions. The Community Energy Association organizes the Climate & Energy Action Awards annually in partnership with the Province of B.C., Union of BC Municipalities, BC Hydro, FortisBC, and the Real Estate Foundation of BC. Learn about all of the 2017 award winners. Page Last Updated: December 4, 2018.